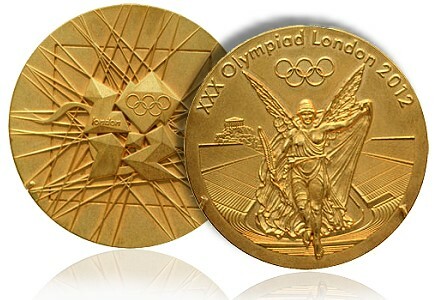 The Olympics 2012: could the ranking be flawed? On the official site for the 2012 Olympics in London you’ll find the final rankings according to athlete and by country – there is even a comparison gizmo to see two countries side by side. The International Olympic Committee (IOC) will serve up information about all medalists since 1896 but are not so hot on rankings – especially not by country. Perhaps because such ranking turns out to be difficult to establish. 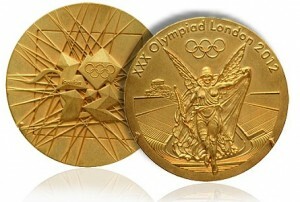 The ranking method that London and other venues have chosen is a simple “rank by gold medals”. With no regard for population size and a curious disregard for silver and bronze medals. Curious because the very spirit of the modern Olympics is about participating and “trying your hardest”. Shouldn’t participants who try so hard they reach second or third place count for something? Note how Japan made it into the top ten at the expense of Hungary and Great Britain pushed the Russian Federation off the podium. This weighted ranking is an image of the sports culture and overall performance in the top echelon for a given country. But it isn’t a fair comparison since not all countries are equal in population – some have a much larger potential talent pool to draw from than others. Congratulations Grenada. That a country of just 100.000 people – most of which are either kids or aged well beyond “best sports performance date” – can take home a medal (any medal) in a world class event is impressive. That is was a gold medal makes it even more notable. Another possible method would use the weighted medal score but instead of the size of the nation that have issued the competitor’s passport, use the country in which the athlete spend the most time training. A quick glance at the top three in the above ranking reveal that many of the athletes are studying or living (most of their time) in the USA. It would confirm the impression that the US is one of the most open and welcoming nations to foreign talent – athletes included. Often at the expense of their own competitors. Finally there is the thorny issue of Europe. A rough look at the numbers would have the EU (had there been such a federation) take top spot whatever the ranking method used. Most gold. Most weighted medal points and on the relative to population rank, the EU would score 34 or thereabout. Evil tongues, however, have been quick to point out that it can’t be because Europeans are faster, tries harder or play more ball – the simple explanation is that they work less and therefore have more time to practice. The question of why the IOC seem much less preoccupied with ranking nations than the venue organizers may seem trivial – but it isn’t. Sports events are contests. Physical confrontations with rules. But hanging on to ranking nation states takes us back to the beginning of the twentieths century with its burgeoning nationalism, racial ranking and worse. And with that, sports become tainted as mass entertainment of brutal confrontations – between nations. War with rules. We were once organized in clans. Then came city-states and now we have nations. Perhaps it is time for another upgrade. At present we only have this one humid lump of mud we call Earth to play on. And we don’t want to loose. There is more than honor at stake.